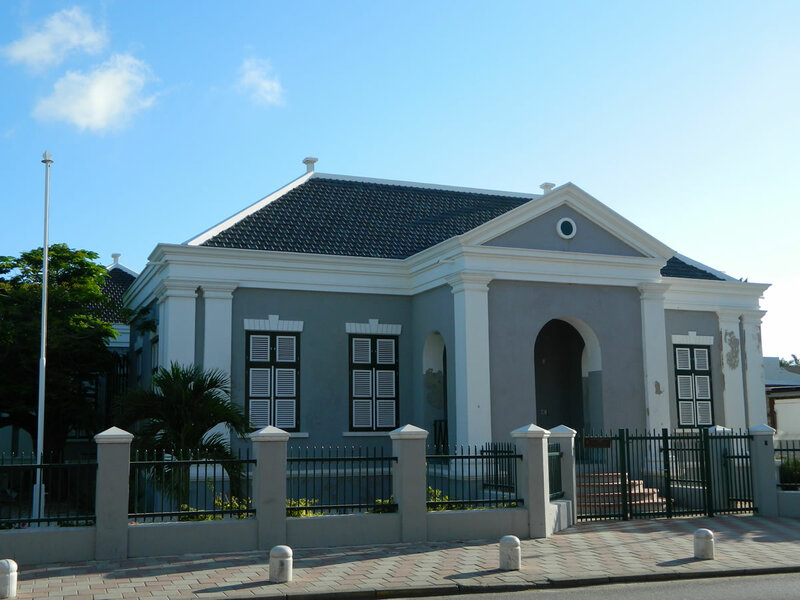 This building was the first public elementary school in Aruba and was built in 1887-1888 to a design by Mr. Antoine Martis. On February 24th, 1888 the building was completed and March 5th, 1888 the school opened. The building had no sanitary facilities back then. 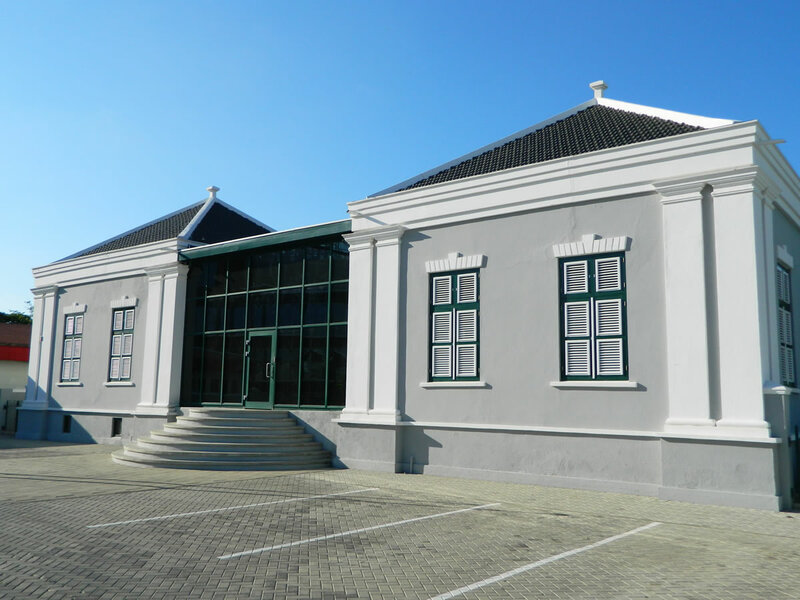 Around 1953, the building became a Public Library. 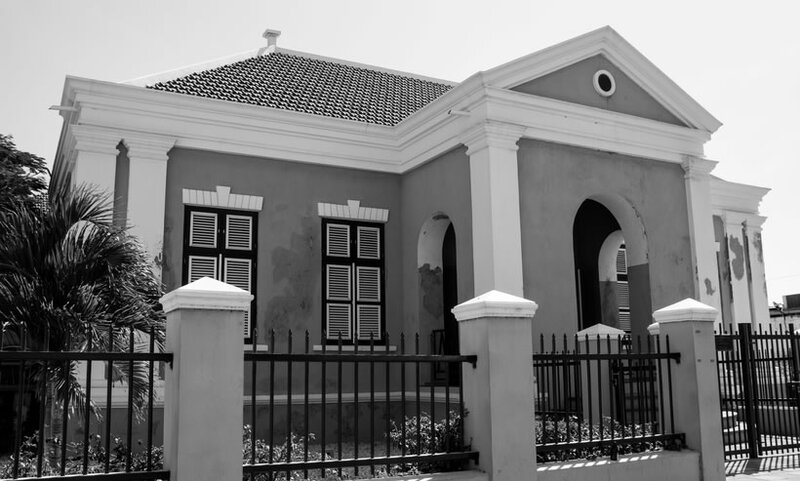 This building also housed the General Court and the Ministry of Culture during the renovation of the nearby wedding hall. In 2004, it served in that capacity temporarily. 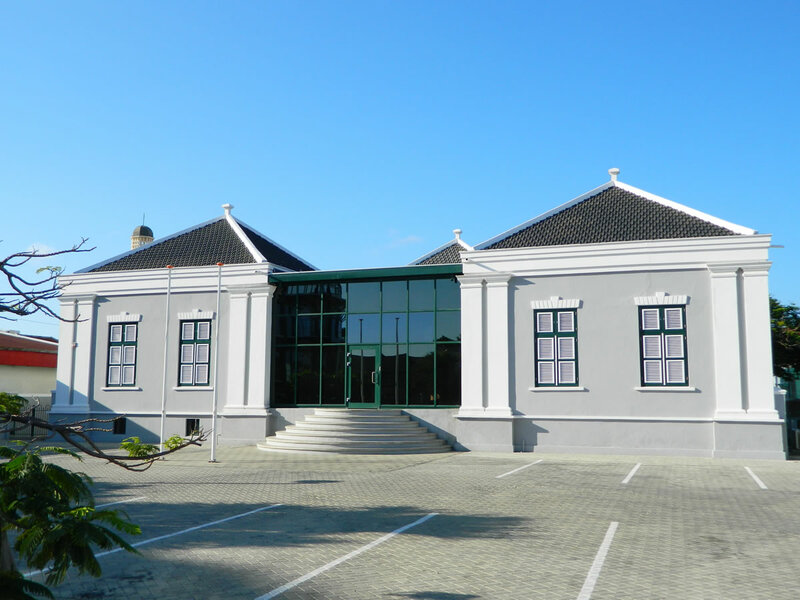 School 1888 currently houses the Chamber of Audit of Aruba.